Small cottage with basic furniture and sea view. Ideal place for those looking for a beach holiday as well as for visiting the hinterland. Animal husbandry in the nearby. San Vito Lo Capo is one of the biggest climbing areas in Southern Italy. The great walls of Monte Monaco and Monte Cofano have always attracted climbers from all over Europe, thanks to their beautiful cliffs, equipped for climbing. This villa is made from wood and brick and was originally built in 1980 and refurbished in 2014. The agent has rated it as a two star property so it is a plainly furnished villa with limited facilities. It is ideal for a cheap holiday. 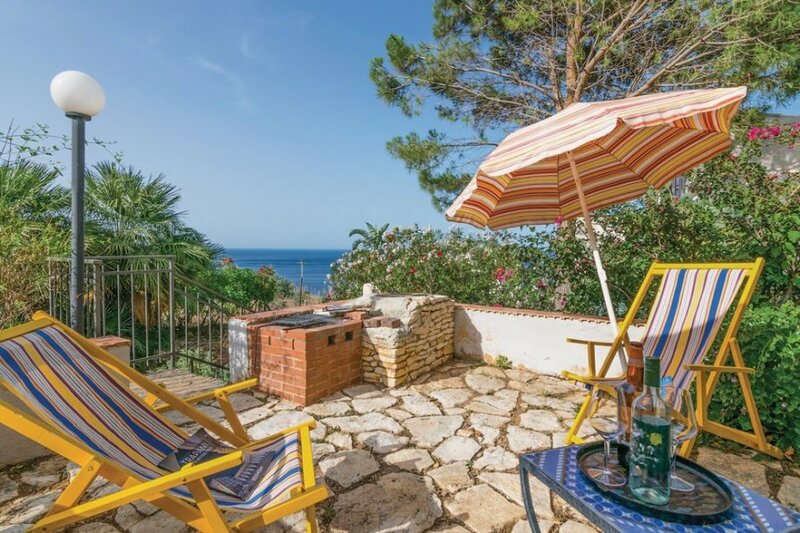 This villa has beautiful panoramic view over water and is located in San Vito Lo Capo, 30km from Erice. It is set in a good location, 5km away from a sandy beach. There's also a restaurant 5km away.